I love the look of a nicely highlighted cheekbone. It adds that healthy glow to your face. 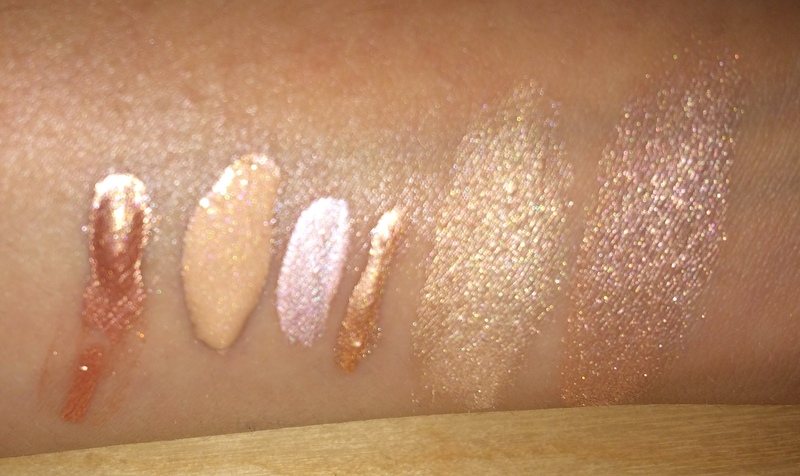 Here are a few highlighters that I have tried and tested. 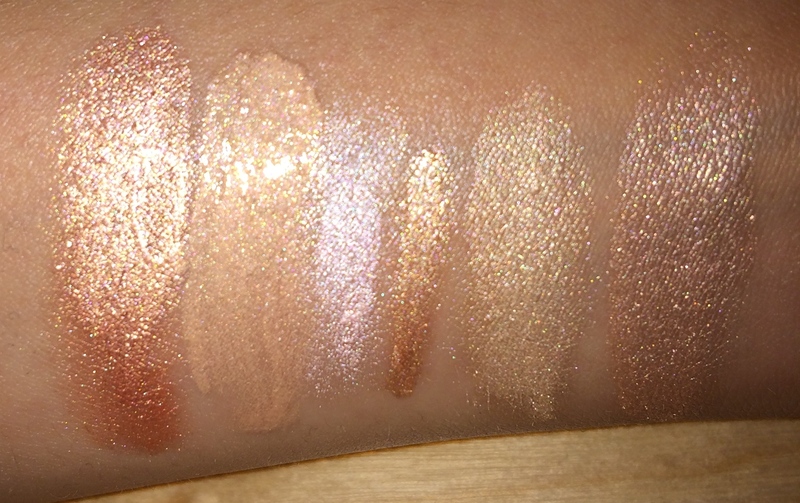 This is a liquid highlighter with a bronze peachy-pink finish. It gives a shine whilst adding a hint of colour. I would say this would suit darker skin tones as it may be too dark if you have fair skin. NYX also do a lighter shade called SUNBEAM. It blends well on the skin and leaves quite a strong highlight with its glitter particles. In the UK get yours here. In the US get yours here. This is a cream highlighter with a slight peach tint. It gives a natural glow to the skin with no visible glitter particles. I like to mix this in with my foundation to give my face an all over dewey glow. It blends well on the skin and leaves a nice sheen. Revlon have four different shades to choose from depending on your skin tone. Great for those who don’t want the full on glitter face highlight! In the UK get yours here. In the US get your here. This is a liquid highlighter with an icy pink finish. It leaves a nice sheen on the skin with no glitter particles. I find that you have to work with this product quite quickly as when it dries it is hard to blend in to your skin. The pink undertone is more suited to those with fairer skin. BENEFIT also do one with a more golden sheen called SUN BEAM. I’ll have to give that one a go as it seems that it would be more suited to my skin tone. This is a cream highlighter with a very subtle peachy finish. This gives the most natural glow out of all the highlighters I have tried so far. It’s light reflective and leaves a natural sheen on the skin. This is by far my favourite highlight, as it really does give you that ‘glowing from within’ look. Perfect for cheating that natural healthy glow! 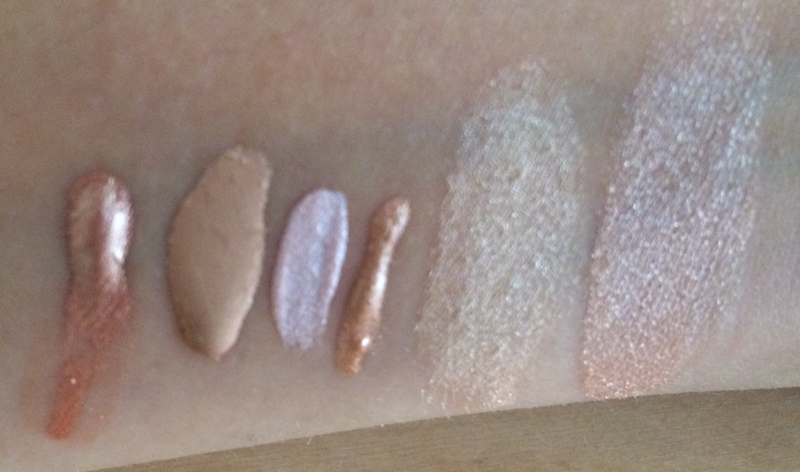 BECCA do this wonder product in four different shades, OPAL being more suited to darker skintones. This is a powder highlighter with a champagne finish. This product is highly pigmented and leaves a shine to the skin without being too glittery. Although it is a powder, it feels buttery and blends well in to the skin. This isn’t for the faint hearted and perfect for those who want a strong highlight. This is a powder highlighter with a peachy pink golden finish. Like the Mary-Lou Manizer, this is highly pigmented and leaves a strong shine on the face. It definitely leaves the strongest highlight out of the highlighters that I own. I do feel that it sometimes leaves too glittery a finish on the skin, so I reserve it for nights out. I prefer a more subtle highlight, but for those who want to go all out this is your new best friend! 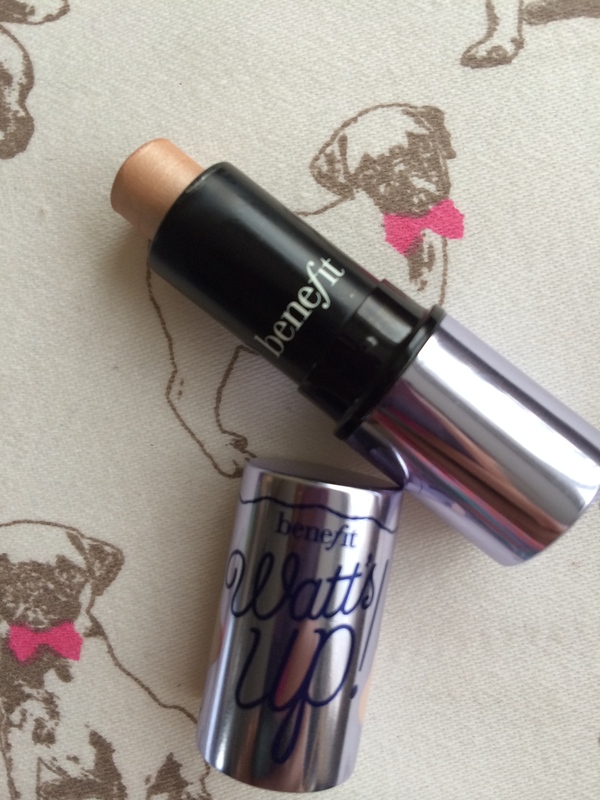 Last but by no means least is BENEFIT’s Watt’s up! stick cream highlighter. I knew I just had to try this after Zara from Mouldy Fruit raved about it. 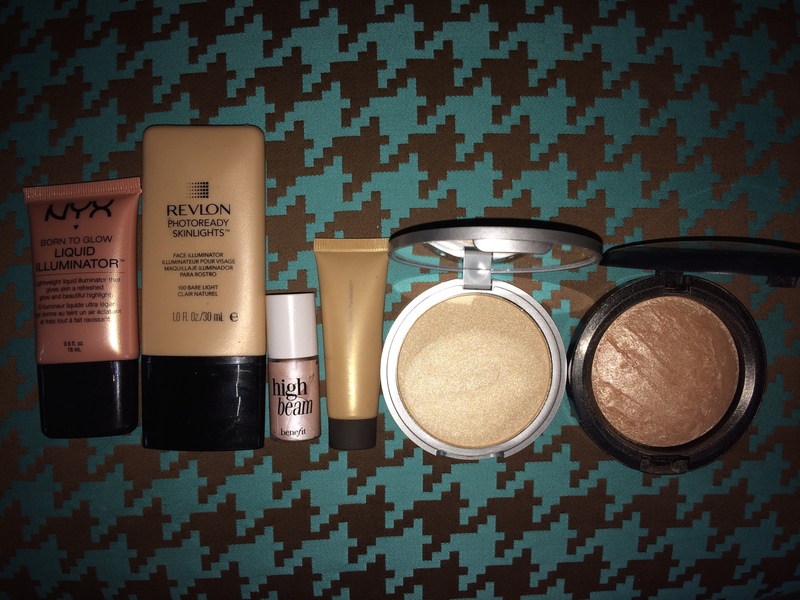 I got a mini one in ‘The Bronze of Champions’ total bronze kit from Sephora. It has a golden champagne finish to it. 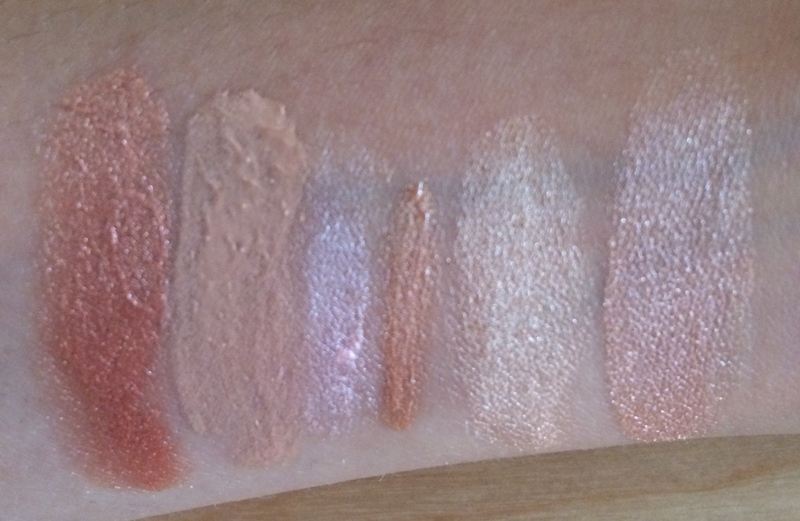 It is a bit deeper in colour compared to the Mary-Lou manizer and therefore doesn’t give as much of an icy finish. It blends in to the skin and reflects the light rather than just depositing glitter on to your face. 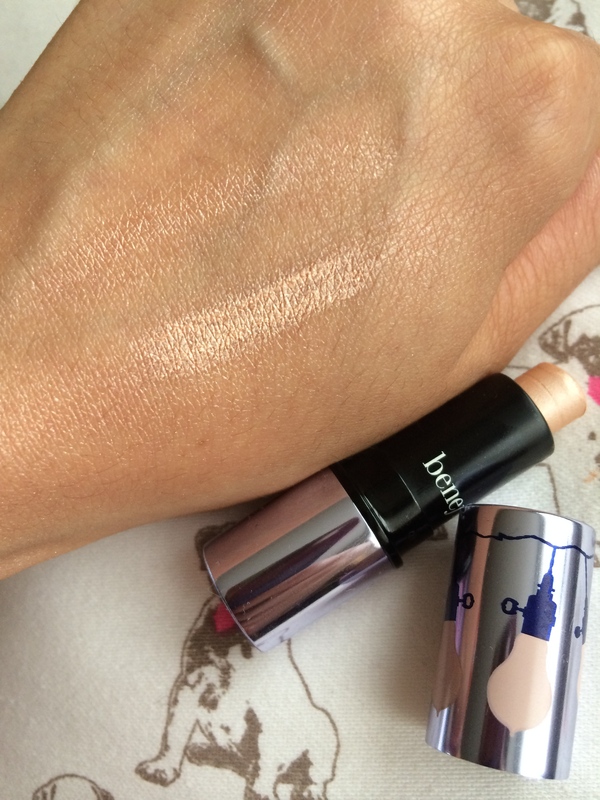 I prefer this to BENEFIT’S HIGH BEAM as it is easier to work with and blends in to skin better. So there you have it, my run down of my favourite options for a glowing face. I use my BEAUTY BLENDER to apply cream highlighters to my cheekbones, bridge of my nose, forehead, cupid’s bow and chin. I do this after my foundation and concealer but before my bronzer and blush so that it all blends in for a natural finish. If I am using a powder highlighter, I will use my ELF fan brush to dust it on as a final step. And TADAH! I’ve cheated a natural healthy glow. What highlighters do you like to use?